Equip your practice with electrotherapy units from e-current.com. Our Rich-Mar clinical therapy systems represent affordable quality and can provide electrotherapy, ultrasound, laser and SLD phototherapy. The Rich-Mar ID3 drug delivery system is a simple, effective choice, when Iontophoresis treatments are required. From portable lasers to hands free ultrasound applicators, our Rich-Mar therapy units are an excellent way to provide your patients with innovative and highly effective treatment options. 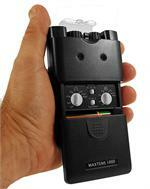 Help reduce patient pain with a portable TENS Unit. 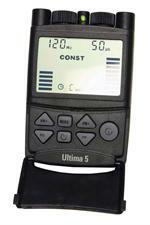 Available with variable pulse width, rate and intensity, each TENS unit can be adjusted for maximum results. Both economy and premium TENS units are available to suit your needs and budget. Looking for therapeutic lasers or electrotherapy products? Whatever your electrotherapy requirements, Current Therapeutics at e-current.com can assist you with your needs.